Why, how hard could that be? 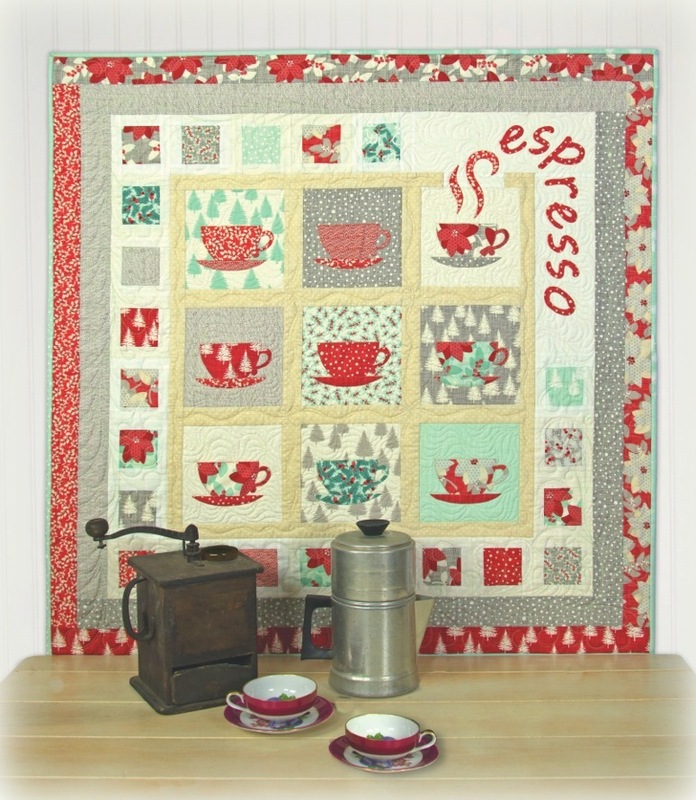 I was just sewing a bunch of 4″ squares together, right?! WRONG. 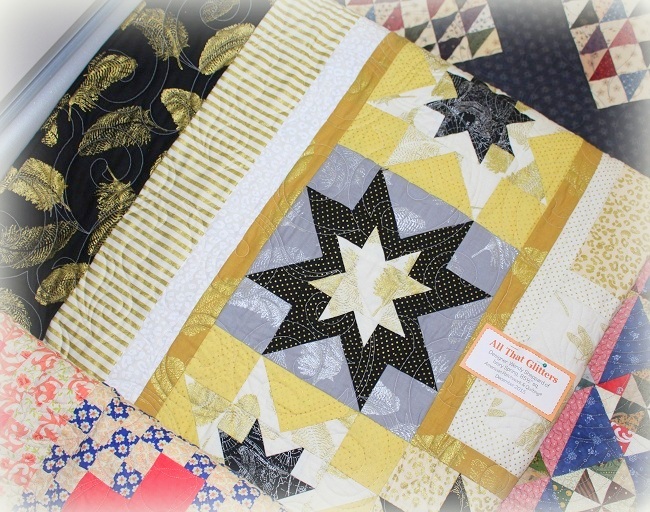 I began realizing very early on that there was more to quilting than just sewing a bunch 4″ squares together… after I found out rows of eight “supposedly 4″ finished” squares don’t all measure at 32 1/2″ raw edge to edge. And to complicate the matter, the points don’t match. I went on a quest to read books and websites in search of tips, tricks, and answers. I found that some reads were tedious. 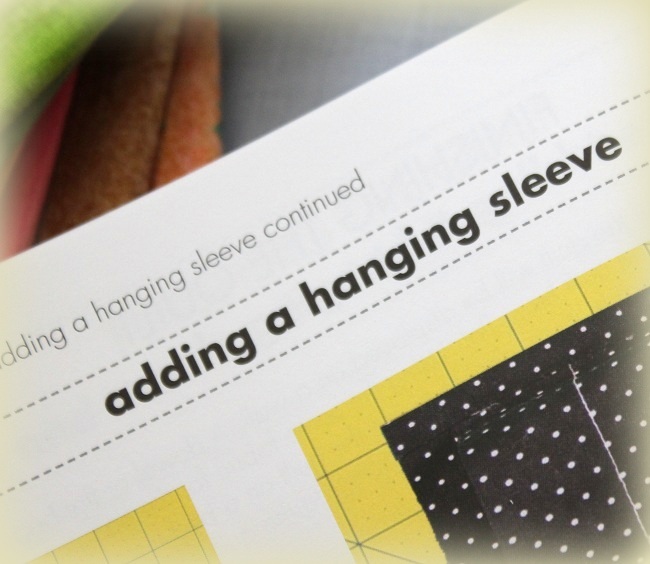 Although I am not bothered by heavy reading, sometimes when dealing with a sewing technique, I just want something straight to the point with good illustrations! 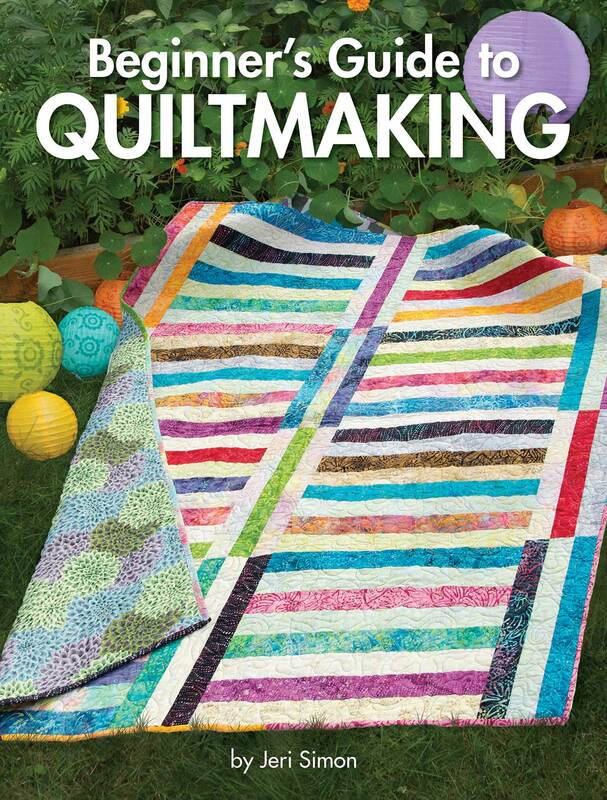 “Where was Jeri when I needed her?” was my first reaction in reading through the newly released book, Jeri Simon’s Beginner’s Guide to QUILTMAKING. 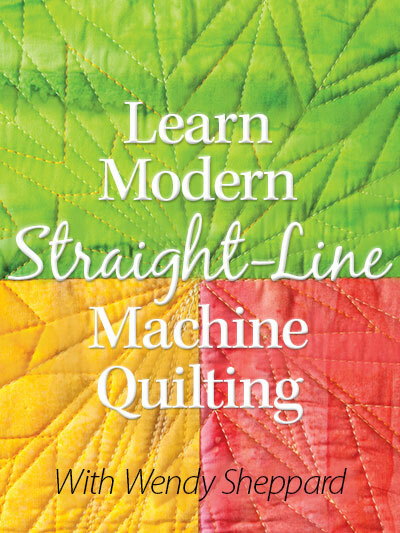 The book was exactly what I was looking for 10 years ago, and I still can appreciate the book even after having quilted for a few years. You may read about and purchase the Jeri’s book here. You may also purchase the book in pdf format here. 1. It is written in a “reference” style – the reader does not have to wade through wordy descriptions to get to the point. 2. 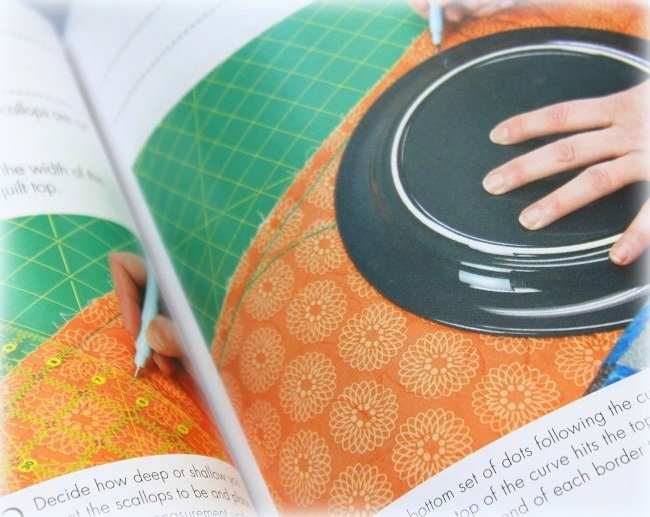 This book is FULL of illustrations – 450 photos showing step-by-step of processes. I really like this part about the book. The photography is great. I know (and some of you know too!) 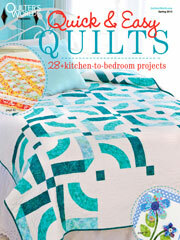 because Landauer Publishing did a super job photographing my quilts in Recreating Antique Quilts. 3. Jeri is able to break things down to the basics. I really admire Jeri’s ability to be able to do that because I am not very good in that department. In this book, Jeri starts from the very very basic in brilliantly explaining words like “grain” (NOT rice or quinoa!) and “block” (NOT streets!) 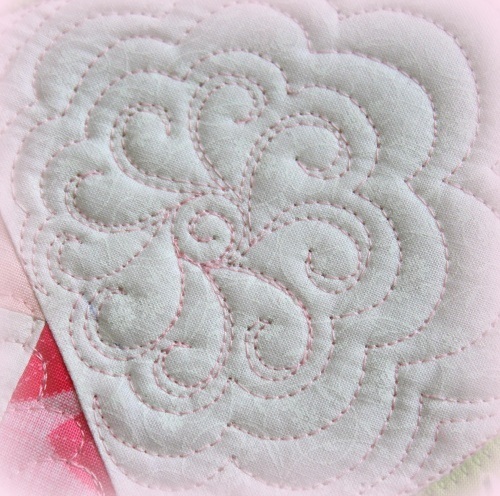 mean when used in the context of quilting. 4. 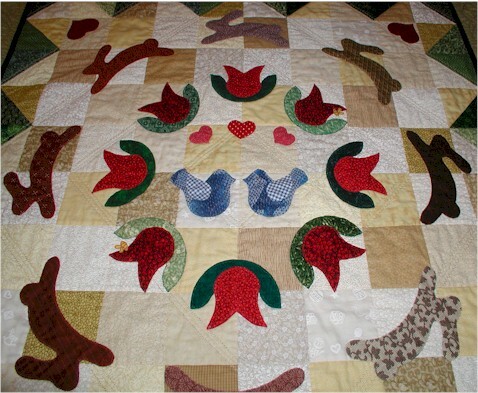 Jeri covers pre-treatments and finishing techniques of the entire quilting process. 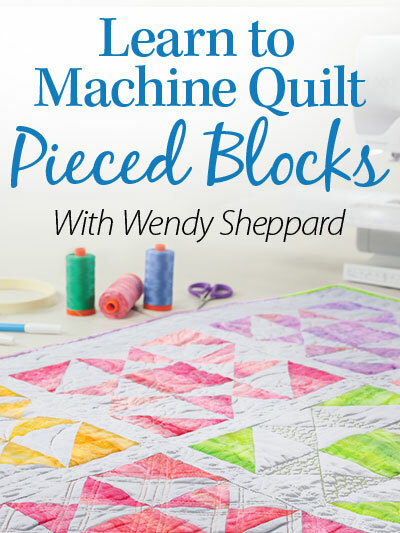 When I reached the parts about hanging sleeve and quilt labels, I knew this book is a winner — because I know my quilting teacher WILL approve, and my quilting teacher is never wrong!! 5. 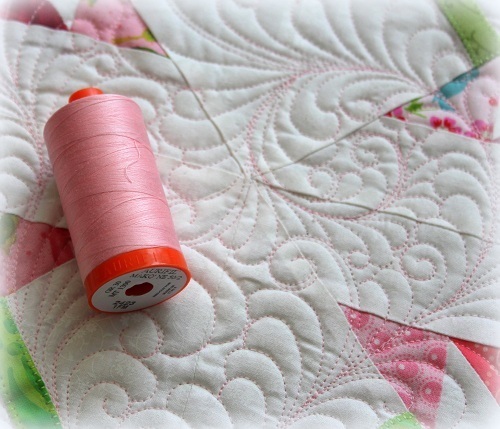 You know how I feel about “that” first quilt. 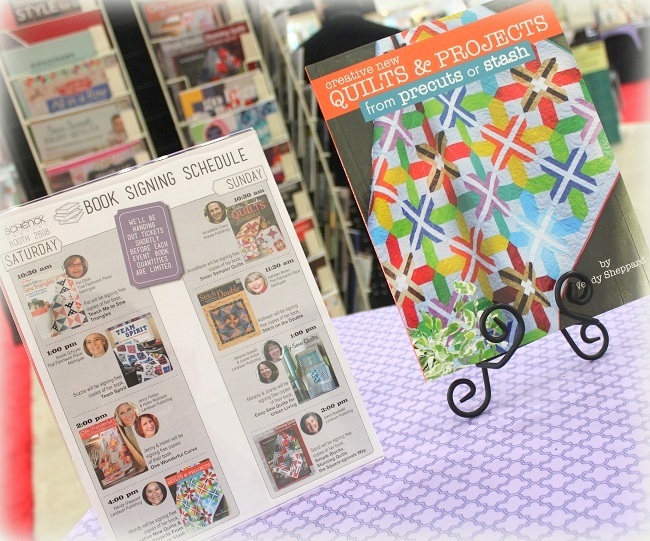 Jeri included beautiful projects to engage the beginning quilters – with complete instructions and illustrations. 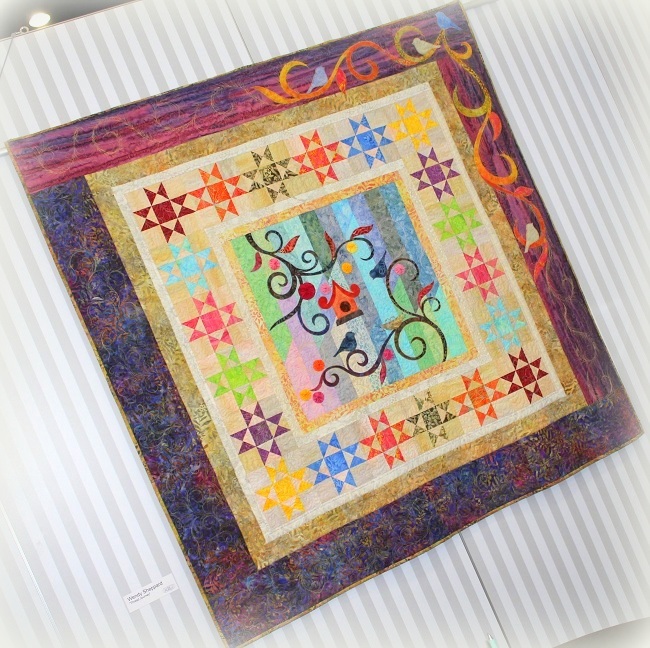 Jeri’s cover quilt totally stole my heart! 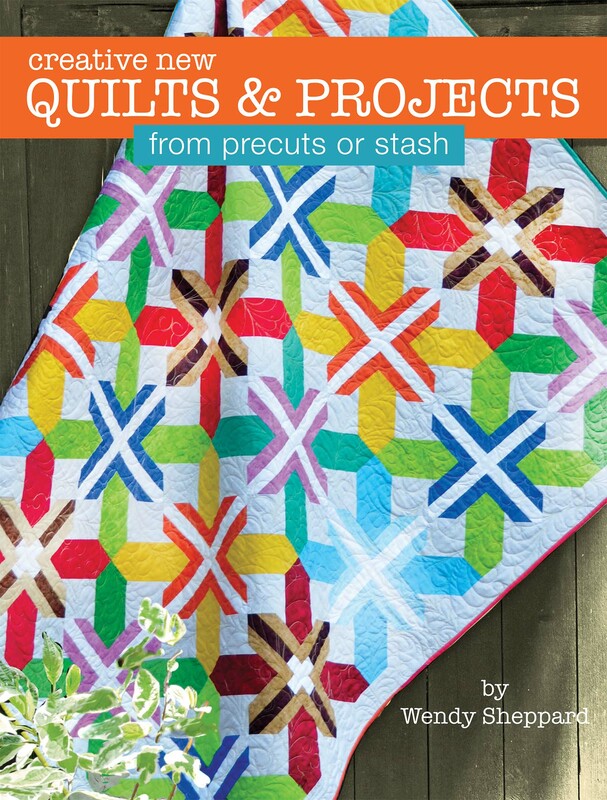 You will have to get this book to see what other projects are included. 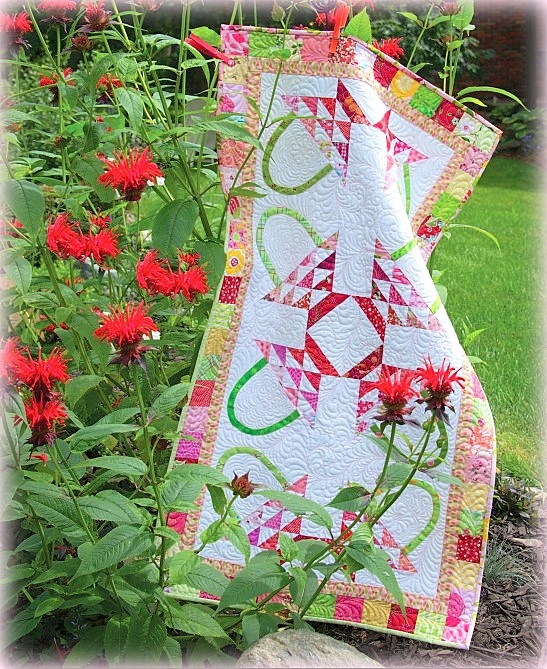 And who says seasoned quilters can’t have fun with “beginning” quilt projects?! 6. 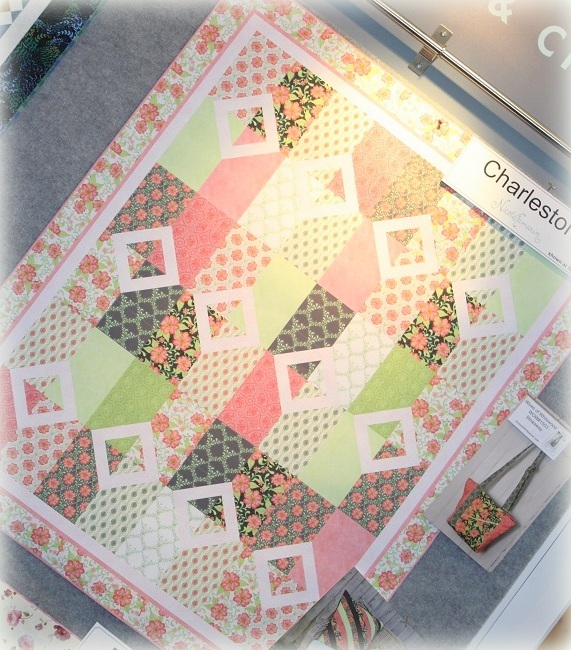 The CHARTS – Those charts made my (engineering) heart go a-fluttering. 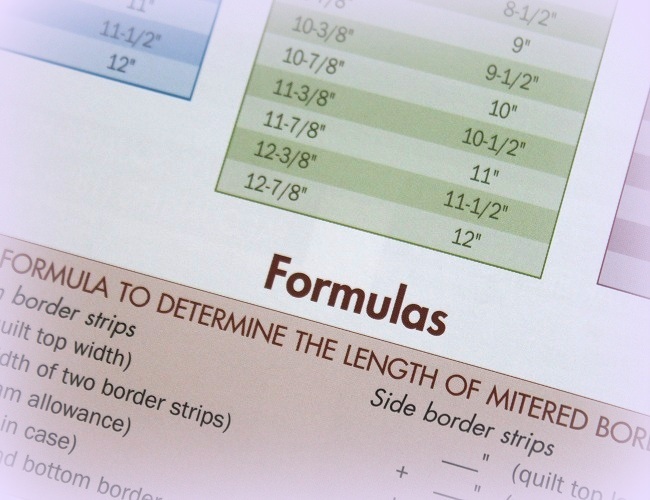 Jeri included more than 20 charts in her book with FORMULAS! 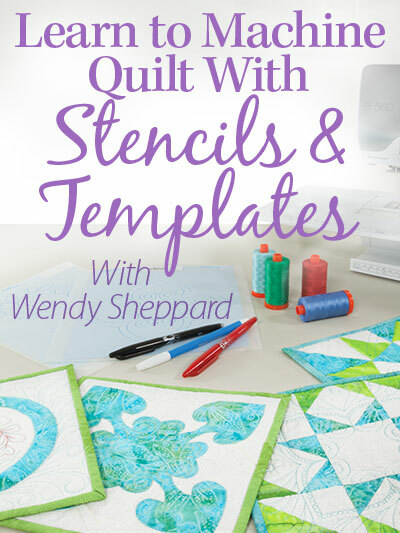 The charts and formulas are helpful and essential in helping quilters get more out of quilting. 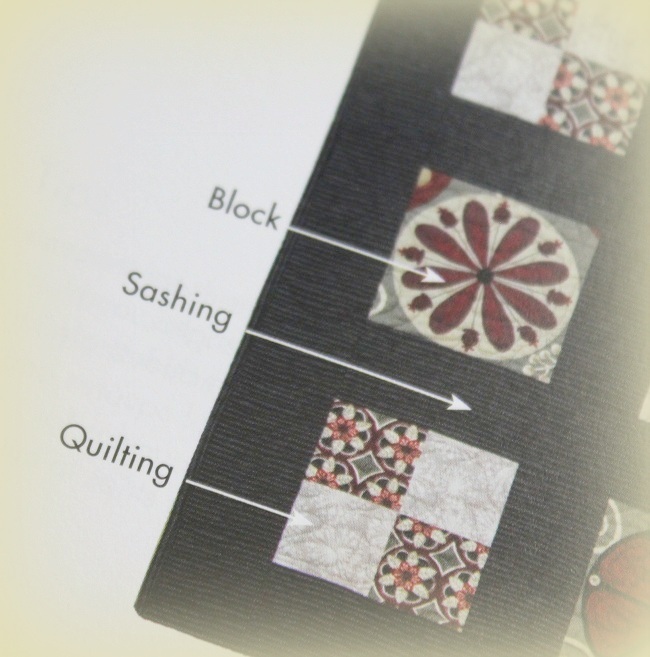 So I am really excited that Jeri include them in her book for beginners to use beyond that baby stage of quilting. I highly recommend the book, truly! 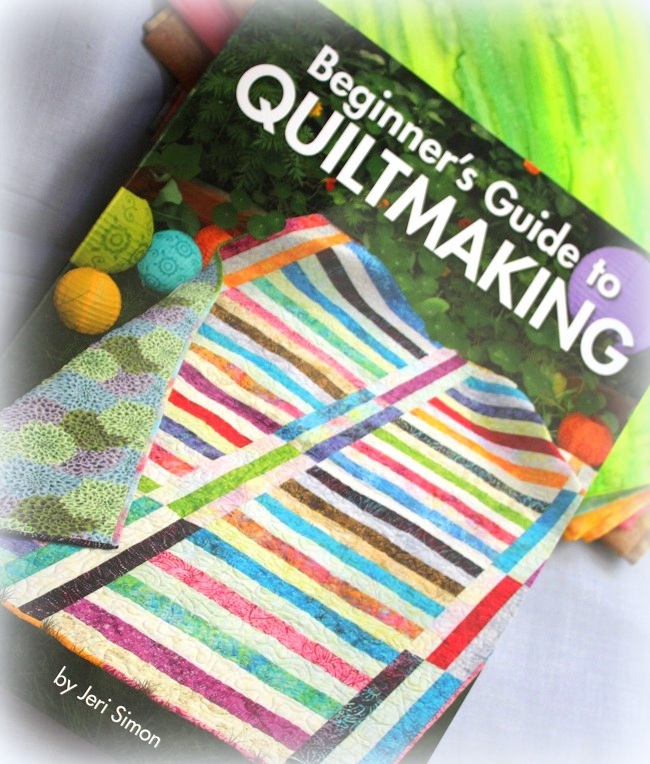 I can see this book being well used for a beginning quilter, and a valuable reference for a seasoned quilter. 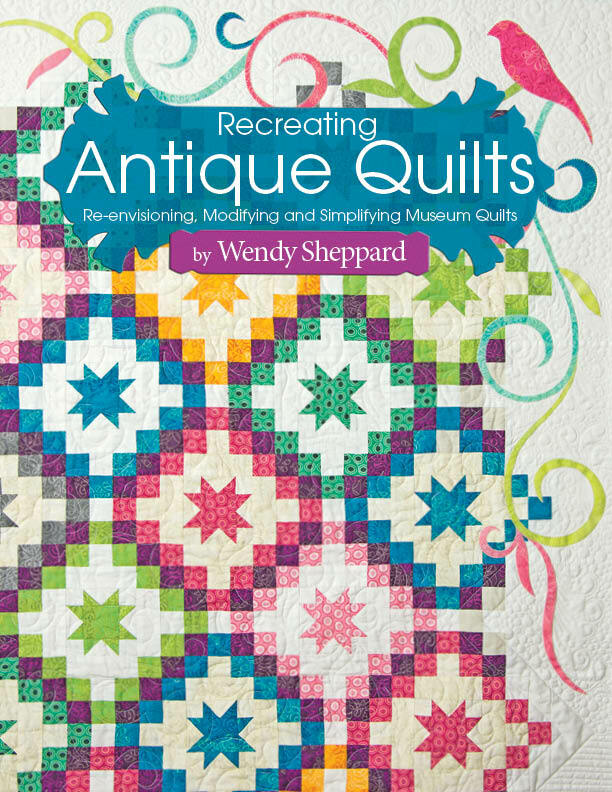 If you are looking for a book to buy for a potential quilter – this is it! 3. 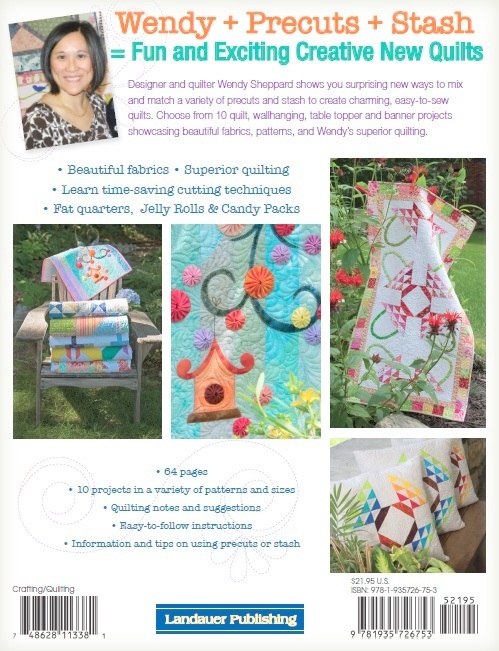 A little about your quilting story! And with that, I am going to fly and get my little one some help with her Math. She can’t figure out what 14 minus 8 is, and that 14 minus 8 is “driving her crazy”! 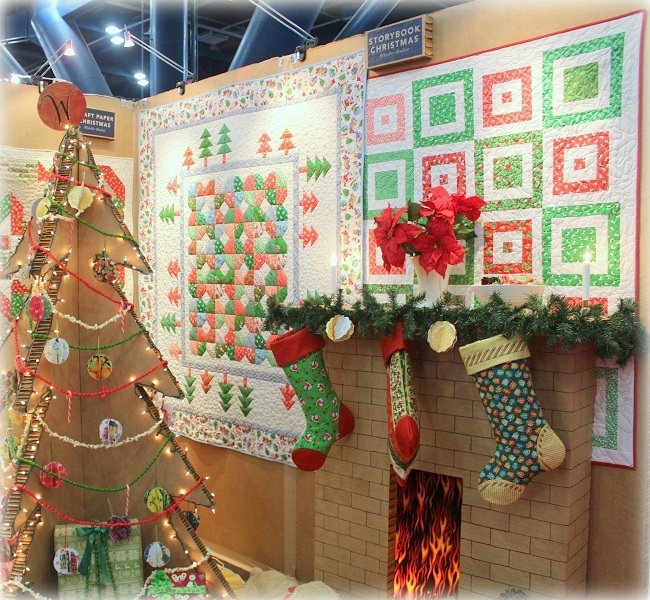 Oh, one more thing… have you checked out Landauer’s blog or Facebook page lately? 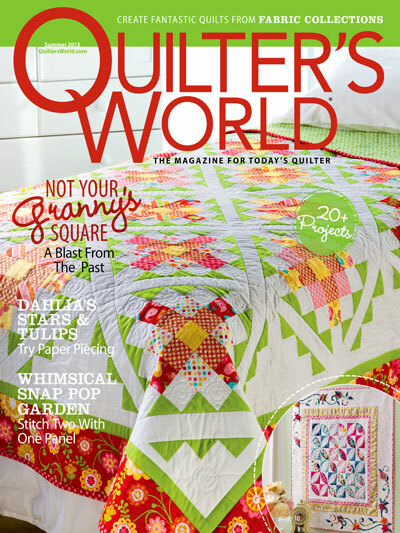 Click here and here to be apprised of the latest news! 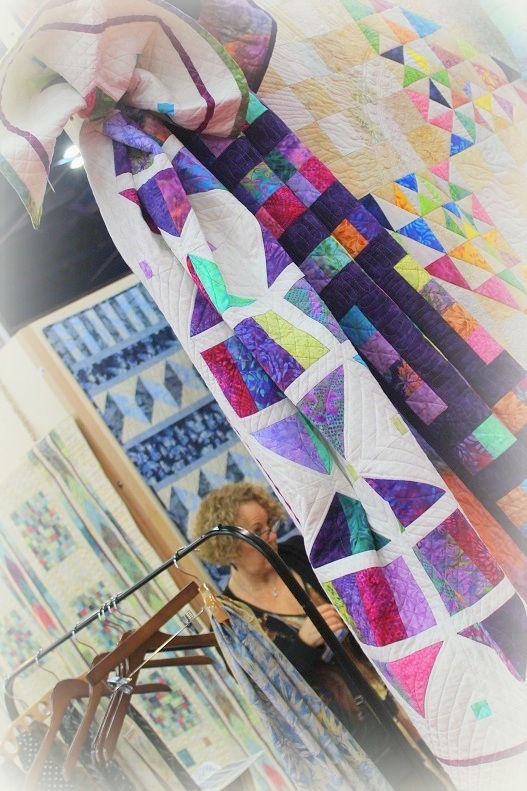 Hello Friends, this is a picture of how the projects in Recreating Antique Quilts were displayed at Spring Market in Pittsburgh earlier this year. 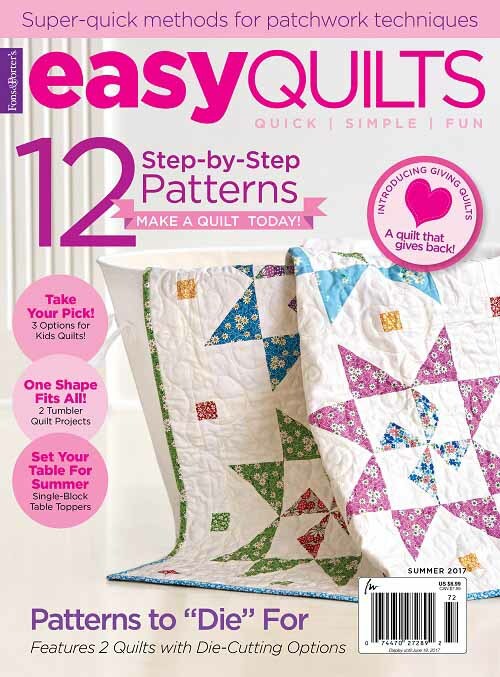 You have read about Calico Trail and Ivory Baltimore here, and even though I have yet to share in detailed the quilt, Oh, Happy Stars!, on the top left, you know it’s the cover quilt. 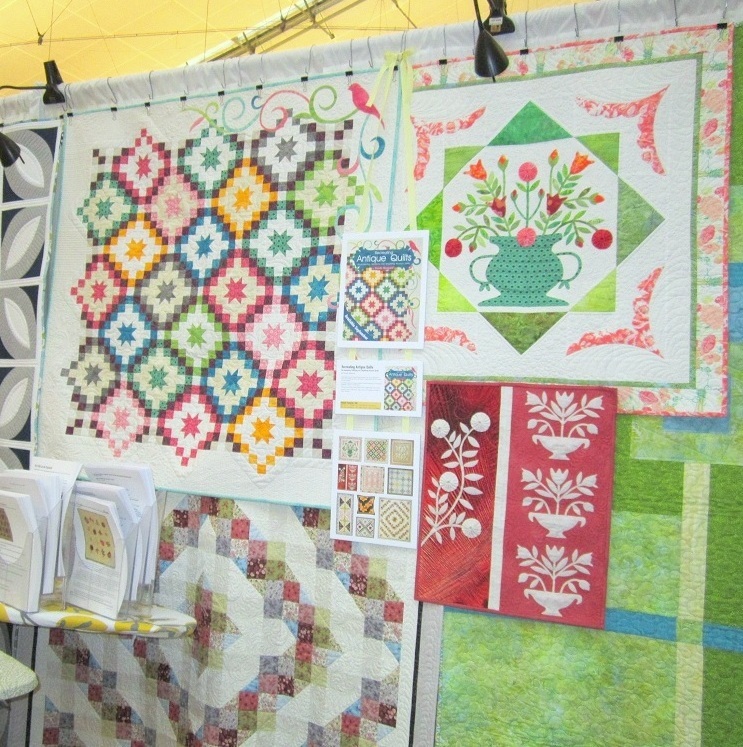 The top right quilt, Floral Fancy, is my contemporary interpretation of a green/red album applique block. 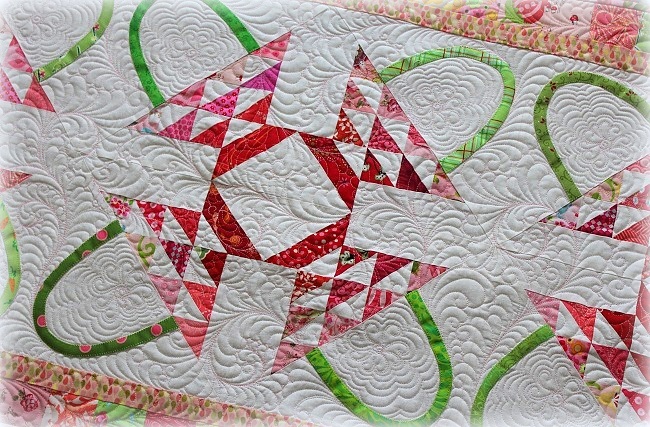 I will share more Oh, Happy Stars! and Floral Fancy later. 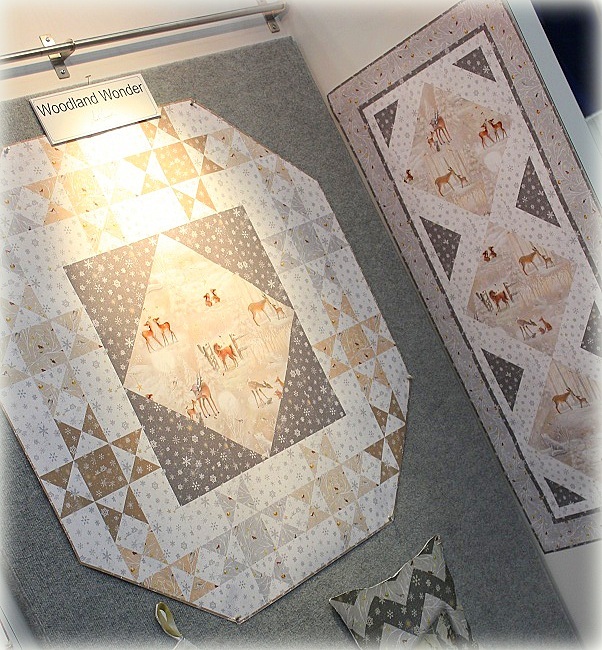 I need to get going, Dear Friends, and get to Houston, and see how Landauer is going to do their booth this time around. 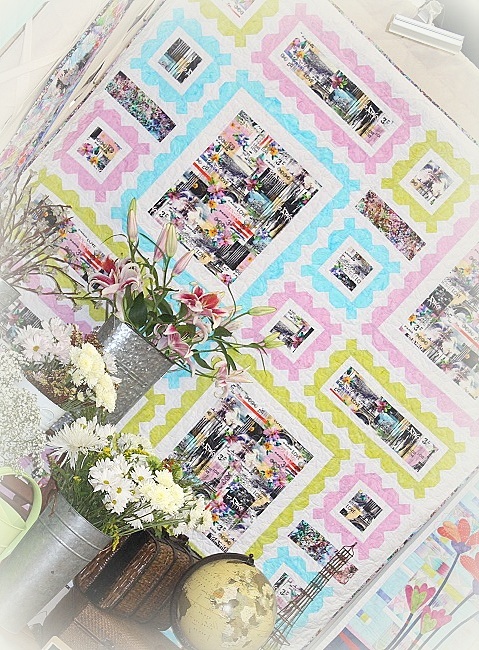 I hope to have some Market pictures to show you post-Market! Take care, Dear Friends!!! 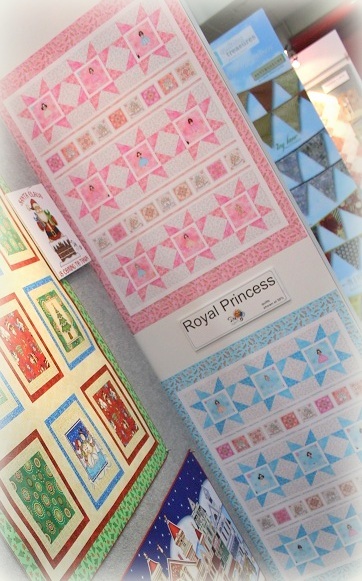 My official appearances at Market this year are as follow. 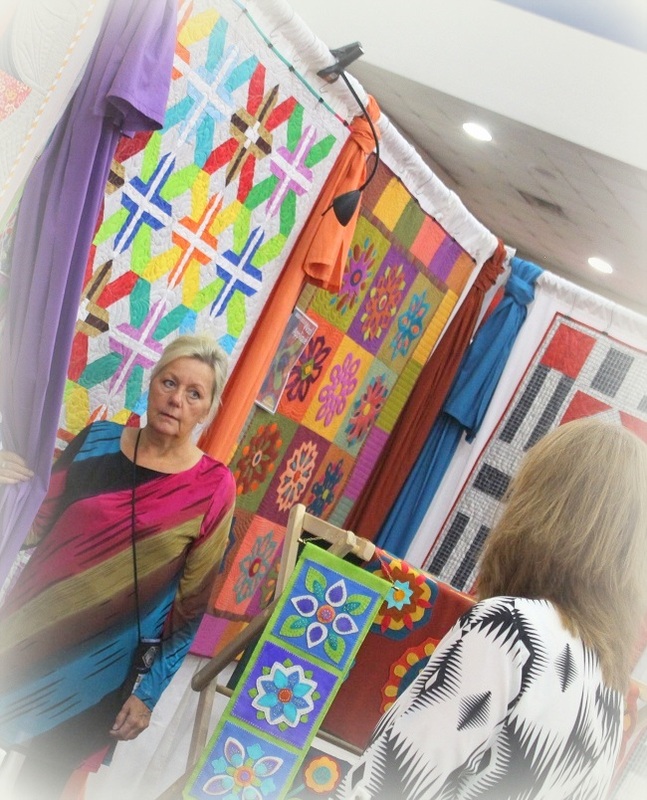 If you are going to Fall Market, would you drop by and say hi? 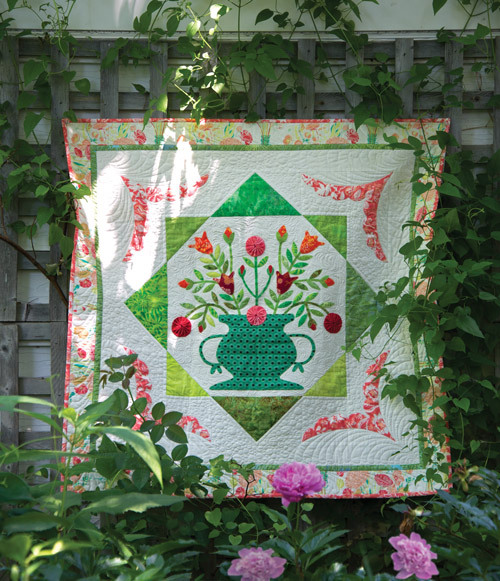 If you aren’t going, would you have your LQS rep stop by for you instead? I would love to meet all of you! 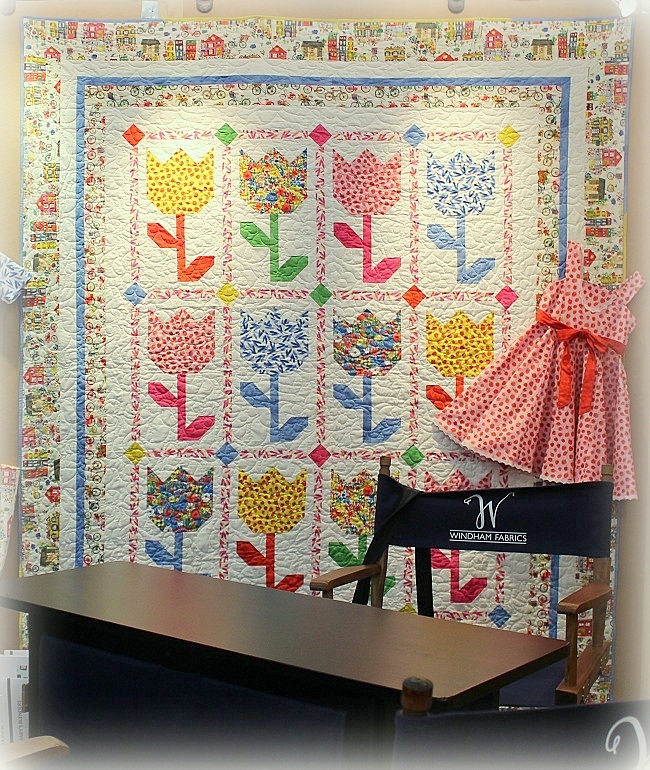 Hello Friends – keep an eye out for Recreating Antique Quilts, an upcoming book to be published by Landauer. You see, the book is written by little ol’ me! Because of that, I am sort of doubly excited. Well, I am doubly excited!!! I now have the green light from my editor (nicest lady!) about sharing the news. 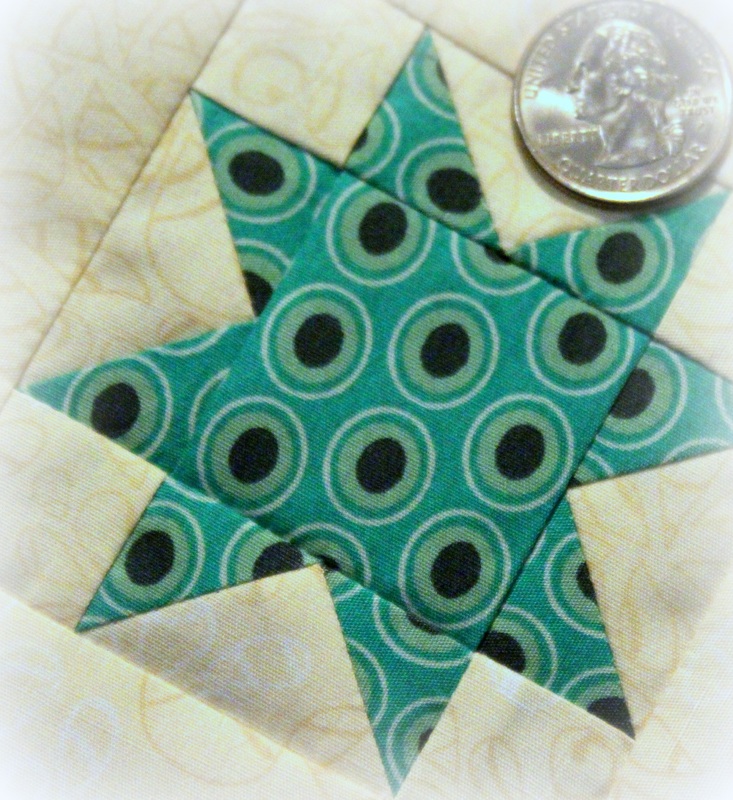 You remember this star block I had shown you a few months ago? Why, that block made cover!! I will share more about my book when it is officially out (you can bet on it, ha!). 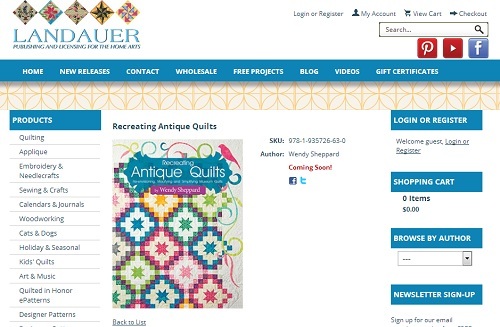 Meanwhile, feel free to check out Landauer’s page on the book on their website. More information will be added there too, I think, when the time gets closer. Click here to view the page. 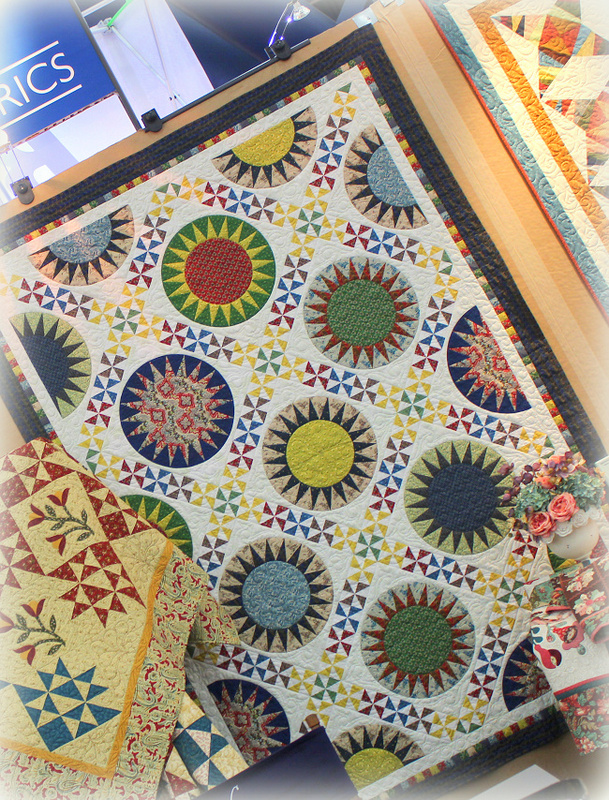 Meanwhile, would you spread the word about Recreating Antique Quilts? Thanks so much. I owe you one! 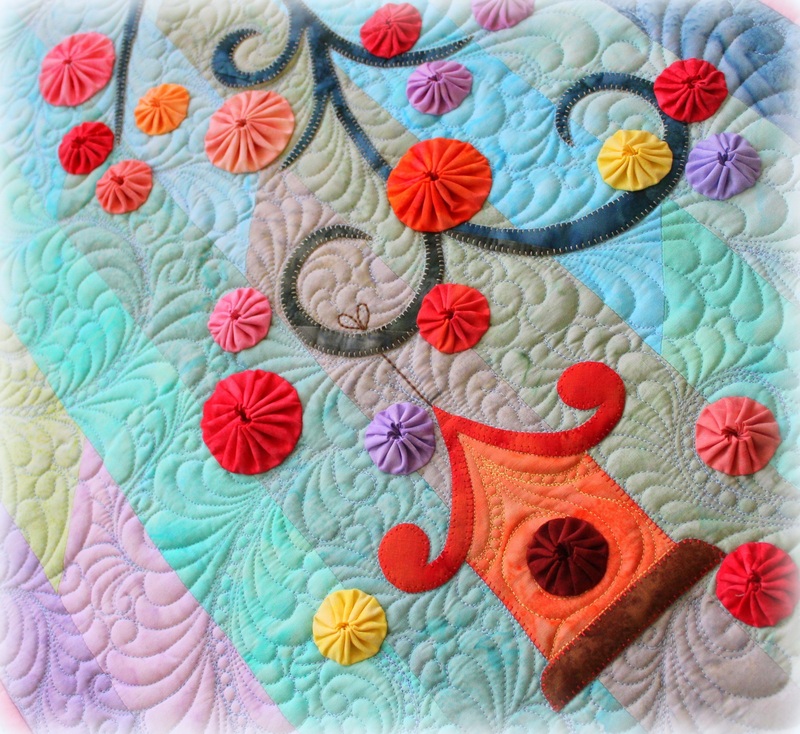 That’s all for now – I need to get back to pattern writing. Hugs to you all.